Last month I was thrilled to have one of my short stories read out on BBC radio. “The Summer of ‘76” is set in my teen years in the mid-seventies. The story is a work of fiction, but evokes memories of people and places in my adolescence. It has made me reflect on the birth of my creativity, even through those formative years, and the compulsion I have always had to write. In a steep-gabled Hertfordshire schoolhouse complete with bell tower and huge gothic windows, I opened my first exercise book at the age of six, accompanying the Spelling Bee on my desk. As I lifted the open blank page to my face, I no longer heard the monstrous radiator ticking loudly at my side emitting the smell of hot chalk dust. Instead I heard my own inward breath, inhaling the weirdly intoxicating caustic scent that started my love affair with paper. I ran my hand across the blank lined page, porcelain under my fingers. The harsh whisper of the pencil leaving its graphite trails of careful cursive was a lullaby to my ears. I wanted to fill the pages with words. At the age of eleven I won a poetry competition, and was published in the local newspaper. It is only now that I am impressed by the importance of that achievement in the currently challenging climate of finding a publisher for my novels. There were moments of inspiration in my teenage years when the ranting in my diaries led to a series of love-struck poems. But once out of college with a business communications diploma, I used my words in a more professional capacity. The urge to create fiction simmered on the back burner. After studying journalism and creative writing as a mature student at an American University, I filled endless journals with experiences of my world travels. Later came a point in my life when I wielded my brushes more than my pens. Oh and we mustn’t forget the years of motherhood, when my body not only expelled two bouncing boys, but also my capacity to create prose, for a few years at least. But now it seems the older I get, the further back I can remember. I have come full circle, acting on the urge, and have produced two novels so far. Every day is like opening that exercise book for the first time. It eclipses all other personal or family needs, except maybe the fundamental necessity for breath. 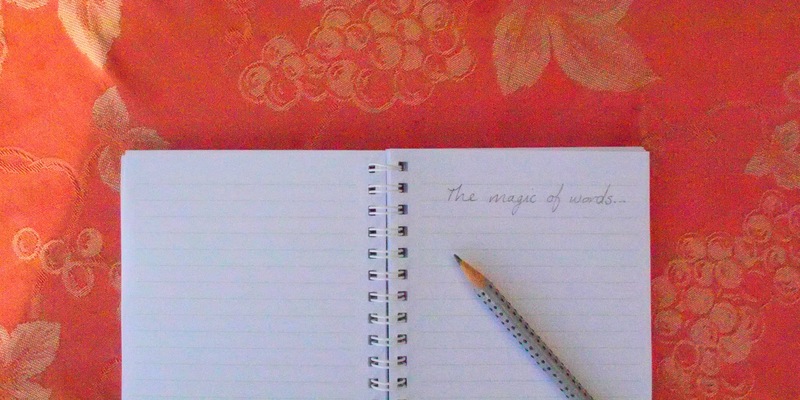 The compulsion to write is once again stronger than cake or chocolate.